Making the switch from iPhone to Android means overcoming a few hurdles along the way. If you’re thinking of taking the plunge but unsure of how to get all of your contacts, data and texts messages onto your new device, check out SmoothSync for Cloud Contacts, and app that promises to pack all of your existing contacts, etc. onto a new Android device as well as sync in the future. How much manual labour can this app really take over for you? Find out after the jump. 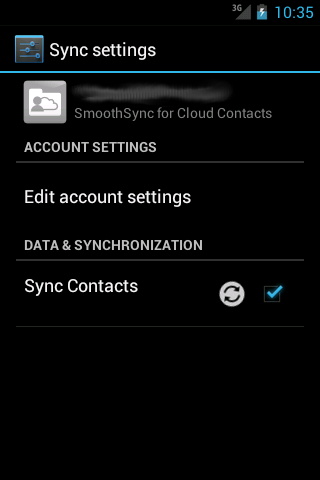 SmoothSync for Cloud Contacts was designed especially with Android newbies in mind, as well as users who which to keep their data on their iPhone and Android synced by operating invisibly in the background. In order to use SmoothSync you must have (or must set up) an iCloud account. Setting the app up is very easy: all you need do is enter your Apple ID and password, and even if you have several Apple accounts SmoothSync will know what to do. When you opt for SmoothSync you also get Contacts Editor Pro, an app that helps manage contacts. The advantage is that with Contacts Editor Pro you may select if a contact (new or already existing) is to be synced with iCloud or not. Shortcuts to the global sync settings are not the app’s main feature, but they certainly do help save a bit of time. Syncing with Google Accounts is also an option, and an especiallw viable one when automatic syncing is switched off. The required permissions strike us as being perfectly straight forward and transparent. This app is a great option for iPhone users who are looking to make the transition to Android, as well as users who wish to continue using iCloud but also want the full advantage spectrum of the Android system. SmoothSync for Cloud Contacts syncs contacts (and profile pictures) quickly and efficiently. A possible downside is that there’s no support provided for groups, but the developpers have announced that this feaure will be included in the upcoming release. Jelly Bean users will find that for the moment a bug that delete the account is on the loose for the moment, but a fix is already available. SmoothSync for Cloud Contacts claims that its main focus lies on user friendly controls, and we found this to be very true. The only thing you need do in order to use the sync feature is enter your owl Apple ID and password. Syncing happens both ways, which is a bonus. The settings menu reminds me of the Android menu optically, but we can forgive the app any lack of graphic innovation seeing as this is really not that important with this kind of app. SmoothSync for Cloud Contacts ran well throughout our test. Syncing around 600 contacts took just about a minute. 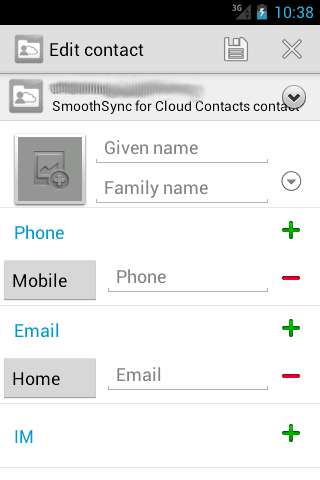 SmoothSync for Cloud Contacts is our app of the week and available for €1.69 instead of €3.56 from the App Center.